One thing that always attracts us when we enter any electronics store is the sight of flashing TVs. TVs with eclectic mix of size and brand are positioned inside a showroom to grab eyeballs of the passerby. More advanced the technology, more is the crowd around a particular model. Upon doing our thorough research on best TV in India, we discovered what consumer look for while buying a TV. Size, technology and price are three most important thing that the consumer vet before making a buying decision. 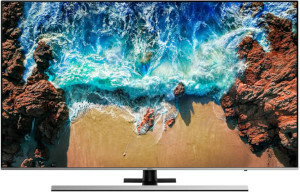 In this article we will apprise you with the best LED TV in India in 2019 among the caboodle of the latest SMART and non SMART TVs based on two important aforementioned parameters–size and price. These models are based on our thorough research and are handpicked after careful examination and evaluation. We will also talk about top TV brands that are available in India. We will also give you valuable tips and tricks that would help you to make a smarter TV buying decision. For the Buying Guide, click: here. 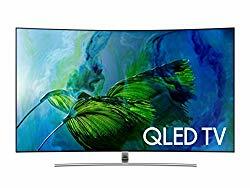 When we think of the best LED TV in India, it has to have everything latest that technology can offer, should be from a good brand with good reputation and still not very expensive. The one TV that fits all of that is Panasonic TH-49FX730D. Panasonic is one of the premium brands that offer everything latest in terms of technology. This TV has HDR10 & HDR10+ Certified and Hexa Chroma Drive for Wide Color Gamut. It is a 49-inch 4K TV with high refresh rate, and all this provides it great picture quality. And all of this does not cost a bomb, which makes it the best overall TV in our analysis. Pros: Great Picture Quality with HDR10 and HDR10 + (or Pro), Hexa Chroma Drive and Fast Refresh Rate, 49-inch 4K TV. Cons: Although it is a SMART TV, Panasonic is not known to have the best SMART TV OS. Also, the sound output is just average. 32 inch is a starting size for Full HDs and the difference between Full HD and HD Ready is quite minimal in this size. But still some extra pixels do give an edge. Sony is the first brand to introduce HDR in this size and the best TV that we could find was Sony KLV-32W672E. The TV has HDR which is one of the technologies that makes good enough difference in picture quality. The TV also has sound system with a subwoofer which eliminates the need of an external soundbar. And the TV is a SMART TV too, which makes it an attractive buy. Pros: Full HD with HDR give it great picture quality, Subwoofer provides it great sound as well. Cons: Refresh rate is basic (so not so great for gaming and fast action sports .. but it will still be ok), in built Opera OS is not the best one out there. Mi TVs have taken India by a storm. This Chinese brand brings great quality products at the most affordable prices. Thanks to brands like Mi, technologies that were expensive have now become affordable. This SMART TV from Mi has 64-bit quad-core processor with 1GB RAM + 8GB Storage. It is a 32 inch HD Ready model with 60 Hz refresh rate. It has 10W x 2 powerful stereo speakers for good sound output. The Patchwall OS in the TV is an Mi upgrade of Android OS. With lots of content and Apps available, this TV is an attractive buy at the price poit at which it is available. Also Mi has spread across in India quite fast and wide, so they do have large service network. Cons: HD Ready, no HDR or Wide Color Gamut technology. This TV is from the same range as the 32-inch TV mentioned above. Sony is the first brand to introduce HDR in this size and the best TV that we could find was Sony KLV-40W672E. The TV has HDR which is one of the technologies that makes good enough difference in picture quality. The TV also has sound system with a subwoofer which eliminates the need of an external soundbar. And the TV is a SMART TV too, which makes it an attractive buy. 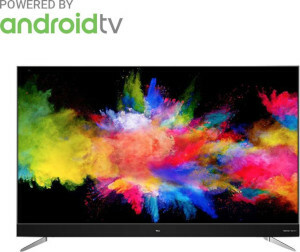 If you are looking for a budget TV in 40-42 inch size range then you should certainly give a look at this new French Brand that has recently entered the Indian market. Technicolor SA or Thomson SARL as it was previously known has been making and selling electrical products globally for more than 100 years now. However, they have entered the Indian market just recently. They have entered the most competitive Budget TV segment in India and their products are currently only available on Flipkart. But they have got some good specifications for their TVs. This particular TV comes with Samsung’s VA Panel, has Full HD resolution and wide viewing angle. The sound output of this TV is also quite good with RMS 20 Watts output. And it is a SMART TV which makes it a great option. All of this comes at very low price which makes it a great TV to buy if you are looking for a budget option. Pros: Samsung Panel, SMART TV with Android OS. Cons: New Brand in India (so there can be some uncertainty with service), no HDR. 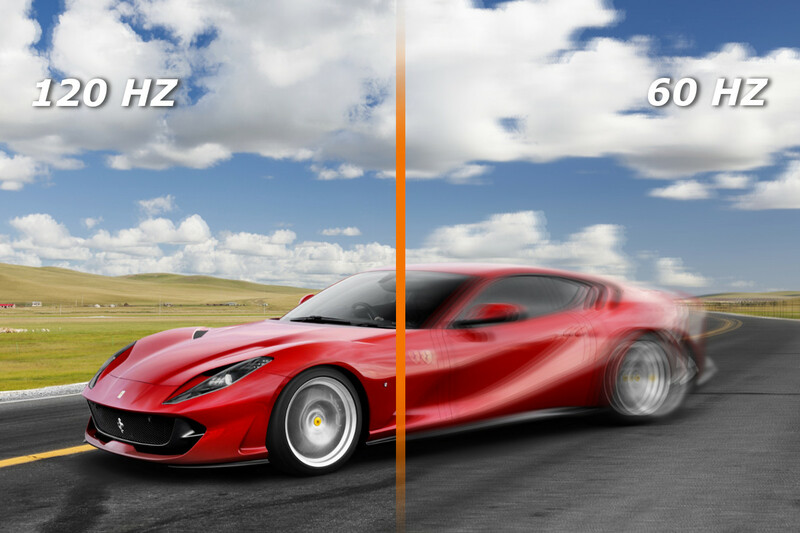 49/50 is the size range where the dynamics change with the introduction of 4K or Ultra HD. A UHD does make a difference at this size. This UHD TV from Samsung has HDR10,HDR10+ and also has Dynamic Crystal Color Display which is Samsung’s technology for Wide Color Gamut. The refresh rate of the TV is als very high, which makes it a good choice for gaming too. This TV also has a 40 Watt sound output. So the TV is good in both picture quality as well as sound quality. This TV is a SMART TV too and a good buy. Samsung’s OS for SMART TVs has pretty good user interface and has good number of apps. The remote is AI enabled and which gives user an option to speak to the TV to change content. Pros: HDR 10, HDR10+ and Dynamic Crystal Color Display will give it good contrast along with good colors, 40 watts speakers provide it great sound as well. Cons: It is a pretty good TV, but support for Dolby Vision would have made it fantastic. Panasonic a premium brand in TVs wanted to enter Indian market with budget offering. And when they did that, they came in with a brand name that Indian knew and the one that they had purchased a few years back: Sanyo. When you are buying a Sanyo, you know that you are purchasing a product from Panasonic. 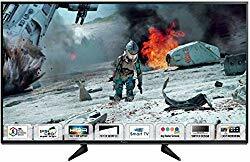 If you are on a budget and you want to buy a good 50 inch TV then Sanyo XT-49S8200U is a great choice. This UHD TV from Sanyo comes with Wide Color Gamut (1.07 billion color display) and HDR which gives it a good picture quality. It also has good refresh rate for smother action scenes. It has a 20 W speaker with Dolby Audio for sound. Additionally, this TV is a SMART TV with QUAD CORE processor and LINUX OS. The standard apps like Netflix, Youtube, etc come out of the box and it also has an App store to get more. The sound output of RMS 20 Watt (10W x 2) is a bit low, but it has dolby digital to make the experience better. So, if you are looking for a budget 50 inch TV, this one is a great buy. 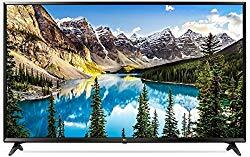 Pros: 50 inch UHD SMART TV at a great price, Wide Color Gamut and HDR, Good Brand, Dolby Audio. Cons: Low sound output, Linux OS is not great. If you are looking for a 55-inch UHD TV from a premium brand which has almost everything but is still not exorbitantly expensive then Sony KD-55X8500F is the best model for you. Sony is a premium Japanese brand which is known for its picture quality in TVs. This UHD TV has HDR10, Triluminous Display for Wide Color Gamut and fast refresh rate (native 100 Hz) which makes it a great TV. This TV has Android OS which has lot of great apps. The sound output of this TV is just 20 Watts (10 W + 10 W) which is slightly on the lower side. The TV also has inbuilt Google Assistant for an AI based interface. On the whole a great 55-inch TV. Pros: HDR10, Triluminous Display with fast refresh rate gives it a good picture quality. Android OS has quite a lot of apps in its app store, User Interface is great, 4K TV. Cons: Sound output of this TV is normal. Key Specs: Sound Output: 20 W RMS, HDMI Ports: 4, USB Ports: 3, HDMI ARC Support. TCL a Chinese brand which is quite popular internationally, entered the Indian market couple of years back. Since then it has started bringing in its popular models to India. One of the latest models from TCL, 65C2 is one fantastic model with great specs. It is a 4K TV with HDR and HDR Pro which is supported by Wide Color Gamut technology. It is a Google Certified Android TV with Harman Kardon speakers and Dolby Digital Sound. It also has Google Assistant for AI based interface. If you are looking at great cenamatic experience of watching movies at home, then this is a great buy in decent budget. Pros: Great picture quality with HDR and WCG, Great sound with Harman Kardon speakers, Multiple HDR format support. Cons: Lack of support for Dolby Vision. Sound output of 2×8W+2×4W is low for a 65 inch TV. Refresh rate of 60Hz is quite basic. Vu is a pretty decent Indian brand that is known to sell close to premium quality products at budget price. And this TV is no different. It is a 55 inch 4K TV with support for Dolby Vision and HDR10. It also has Ultra Smooth Motion rate which makes it great for fast moving action scenes as well. This TV has Android OS with Google Assistant AI interface. It has a 16 GB storage, 1.75 GB DDR and a quad core processor. For sound it has a 12W + 12W box speaker with Dolby Digital and Dolby Digital Plus support. If you are looking for a budget 55 inch TV, then this TV is a great option for you to buy. Pros: HDR 4K TV for a great price, Dolby Audio and DTS-HD, Quad core processor with 1.75 GB RAM and 16 GB Storage. Android OS with Google Assistant. Cons: Sound output on a lower side, Lacks an extra WCG (wide color gamut) technology. We all wish that we had all the money in this world to buy everything that we want. 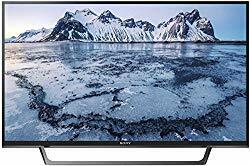 If you do have that money and you want to buy a great TV then Sony KD-65A9F is the model for you. OLED or Organic Light Emitting Diode is the next level technology which can provide absolutely stunning picture quality. OLEDs are types of LED that have a layer of organic compounds that emit light when electric current is passed through them to give different colors that are brighter and more vibrant. Along with HDR10, Dolby Vision and Triluminous Display this technology can get you the best picture quality that money can buy. The TV can have stunning black, gorgeous whites and wide variety of different colors. The refresh rate in this TV is high, and it gives the best cinematic experience.The sound system in this TV is breathtaking and feels like a concert hall. It comes with Android OS with Google Assistant User Interface. One the whole a fabulous buy. Pros: OLED is a next level technology in Picture Quality. HDR10, HDR10+, Dolby Vision Support. Android OS with Google Assistant. Triluminous Display. Fast Refresh Rate. Cons: If it had any, it would not have been the best TV with no budget constraint . 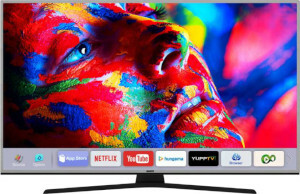 Based on our data collection (from websites of various brands) and understanding of brand value and technology, we have also put together a list of best LED TV in India based on size and budget. If you have any question about any model or brand, feel free to put in your question in the comments section. These are considered as premium brands in India. These brands have latest and greatest technology available in the market. Japanese brand Toshiba or Dutch brand Philips are also good, but if you are looking for decent value for money brands then you may look at the new and upcoming brands like Mi LED TV, Vu LED TV, Sanyo LED TV, Thomson LED TV and TCL LED TV (or iFFalcon LED TV its subsidiary) . The new Chinese brands like Mi, TCL, etc are completely disrupting the TV market by bringing in latest technology at quite value for money price. Technology wise the premium brands are far superior but they are expensive. 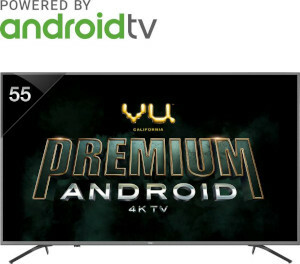 In general most brands in India do not offer warranty of more than 1 year on TVs, and bad power quality does damage TVs in several places, thus lot of people prefer to go for the value for money brands. To check on our analysis of various brand you can check our link: Best LED TV brand in India. This is probably the most important factor which significantly drives the buying behaviour of customers who are looking to buy a new TV. The sheer size of a TV is capable of altering a customer’s decision. Many people have an emotional/psychological connect with the size of the TV. A bigger size TV is considered a sign of social status by many. And due to this many people choose to buy an over-sized TV. To illustrate the effect the size of TV has on the viewing experience, let us look at an example. If you buy a large sized TV (above 40 inches) then there is a certain distance at which you have to sit from the TV to have a comfortable view. Otherwise the objects on the screen will look too large and the viewing experience will be poor. So it is important to buy such a TV which is best suited to your room. Given below is a table which illustrates the ideal distance at which you should sit from the TV in order to have a nice viewing experience. For those who do not want even to take the pain of confirming right TV size based on the distance from watching the TV, we have simple advice for you. You can opt for 32-43′ TV for your bedroom and go for 55′ or more for your hall/living room. If your hall room size is humongously large, 75’ or even 100’ TV will do wonders. Though often used interchangeably, there is a slight difference between a true 4K and 4K UHD. UHD has the resolution of 3840 x 2160 which is precisely twice that of Full HD and thrice that of simply HD. On the other hand, the true 4K has the resolution of 4096 x 2160. So, rather being simply 4x of Full HD, 4K derives its name from measuring 4000+ pixels on its longest side. But most of the TV with 3840 x 2160 resolution are marketed as 4K or 4K UHD TV. As you go from HD Ready to Ultra High Definition, the number of pixels in the screen increase, which means that the display-clarity increases. But one should keep in mind that beyond a certain distance from the TV, all the various versions of HD TVs appear to be same (or there is little noticeable difference from a HD ready TV to a 4K variant). The difference between these variants starts becoming noticeable as one starts moving closer to the screen. The size is also an important factor while choosing resolution. A 32 inch is the entry level size for Full HD TVs, but at that size, there difference between a HD Ready and Full HD is not much. Similarly 42-43 inch is the entry level size for UHDs and thus at this size, the difference will not be much between a Full HD and 4K. Most significant differentiating factor between a premium and non-premium TV lies in the display panel. We have already moved from bulky CRT TVs to slim LED TVs. In LED, manufacturers have found a big scope for improvement. Organic Light Emitting Diode (OLED) display panels are borne out of that vision. OLED is the best display panel you can get in a TV but you’ll need to shell out a couple of lakh to buy a giant TV with OLED technology. OLEDs are Organic Light Emitting Diode panel TVs which uses an organic material that glows when electricity is passed through them. 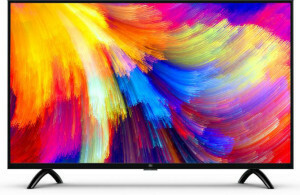 On the contrary conventional LED TV displays comprise of LCD screen that needs LED backlight to make the colors visible. Now when we say LCD screen, it should not be confused with old LCD TVs which used much older technology which uses a fluorescent backlight and not the LED. The most prominent difference between LED and OLED is that the OLED lights up individual pixels while the standard LED (non-OLED) displays light up the complete screen. This difference helps to get the real contrast because it’s possible to reproduce true blacks as they can be completely turned off. Also, it has the massive lead over conventional LEDs in terms of response time, because OLEDs are touted to be 1,000 times faster, implying there would be no discernible blur with fast-moving images. LG is presently a leader in OLED technology, and it also happens to OLED panel supplier to other big TV manufacturers. A few years back when 4K was new, all the limelight was on the resolution. Marketers and salesperson would talk about the grandiosity of a bigger 4K TV, how it compares to Full HD or HD or the rudimentary SD definition. However, as the economy of scale has started to picture in, the prices of 4K TV plunged significantly. TV marketers are slowly shifting their technical catchphrase from 4K to HDR and WCG. 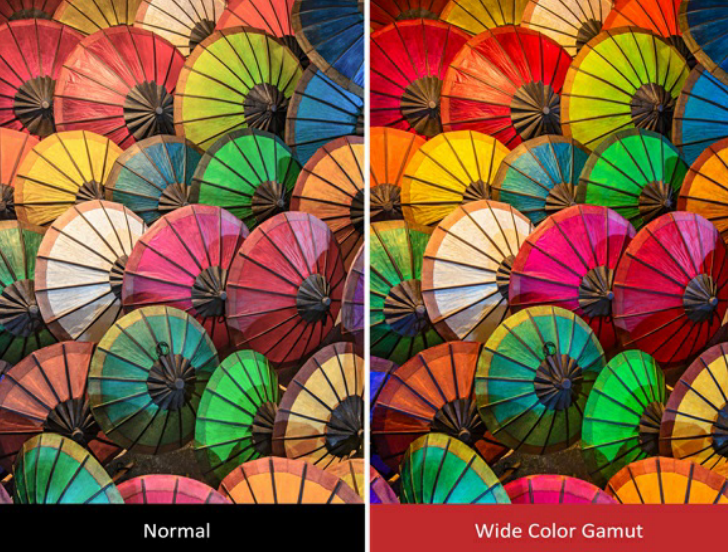 Wide color gamut (WCG) is often bundled with HDR. Though mostly concurrent they aren’t precisely intrinsically interlinked. Where HDR increases the dynamic range of the picture (with brighter brights and darker darks), WCG improves on the color reproduction–redder reds, bluer blues, greener greens, etc. In short, HDR improves picture clarity quantitatively while WCG does so qualitatively. The single biggest change that has happened in recent times in TV Picture technology is the introduction of HDR or High Dynamic Range in TV. It relates to something called as “contrast”. Contrast ratio is a term which one might hear when looking at several models of TVs. Contrast ratio is a measure of the luminance of the TV screen. It is the ratio of the brightness of the brightest colour (ie white) to the darkness of the darkest colour (ie black) on the screen. It is an indicator of the vibrance (or brilliance) of the screen. So a high contrast ratio is usually preferred. For a deeper understanding of HDR read our article here. WCG on the other hand, lets TV display more colors. Not just more colors but more real life-like colors which we see with our naked eye. So, if you are getting a TV with HDR and WCG you can be rest assured of amazing picture quality. We have a dedicated article explaining WCG here. Dolby Vision: This is arguably the best HDR format. It supports 12 bit display panel implying it can display mind-boggling 68 billion colors. Also meta dat processing in this HDR is dynamic. For simplicity, dynamic is better than static. For more info on the difference between the two, check link. HDR10+: This is recently released HDR format which is upgrade over HDR10. It supports dynamic meta data processing but support 10 bit display panel and not 12 bit like Dolby Vision. HLG: Hybrid Log Gamma (HLG) format HDR is specifically meant for broadcasting live channels in HDR. Presently in India no channel brings out live channel with HDR support. HDR and WCG is another step towards improving the aesthetics of watching content on a big screen. But bear in mind that HDR is an end-to-end technology. Every step from creation to reproduction on the TV screen in your home needs to be HDR-compatible. With all that in place WCG and HDR will surely enhance TV viewing experience. The video playing on a TV is actually a series of images which are displayed at a very high rate so that they appear to move and give our eyes a sensation of moving objects. So refresh rate determines how quickly the images are updated in one second (or are refreshed in one second) on the screen. If a TV has a high refresh rate, then it means that the moving of the images on the screen will be fast and smooth. In simple words, the video quality will be enhanced. (Please note that refresh rate is different from frame rate). So if you primarily intend to watch high-action, fast moving objects on your TV (like racing, or high graphics games) then you should go for a TV with a high refresh rate as the images would not get blurred. But if you want to watch regular stuff (like TV soaps, movies) then the standard refresh rate of 50 Hz would be sufficient for you. Different manufacturers use different terminologies (in terms of mentioning the refresh rate) to promote their TVs. 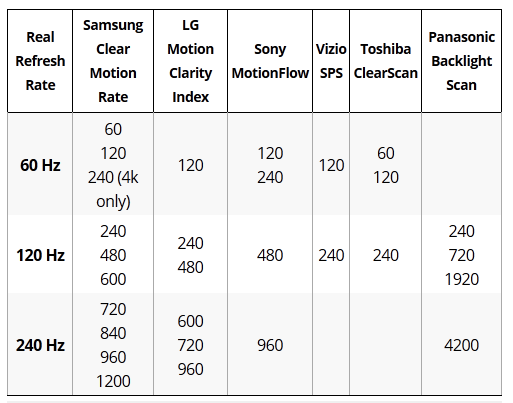 Some examples are LG Motion Clarity index, Samsung Clear Motion rate, Toshiba ClearScan, Sony Motion Flow and so on. In these patented technologies, the refresh rate that is mentioned, is sometimes bloated. So a manufacturer can label their TV as having a refresh rate as high as 1000 Hz, but effectively the refresh rate is no more than 200 Hz. It is important to have a knowledge of the aspect of “fake refresh rate” because some people get misguided by the high value of the refresh rate for a particular brand, which when normalised, is effectively lesser than the value that is mentioned in the specifications of the TV. Modern remote bundles with smart TVs are minimalistic. They usually have a few channel control buttons with volume adjustment and voice control if it comes with Google Voice assistant. We would recommend going for a Bluetooth remote instead of an ordinary one because with Bluetooth remote you can control TV from any part of the room. In infrared, you would specifically need to point towards the TV. We have observed many cheap smart TVs don’t come with a mute button. Be watchful of that too. Remotes it high-end TV also come with zooming button which lets you zoom any part of the screen. Ardent sports lover would truly admire this feature. If you prefer to use your TV late nights with lights off, try to go for a TV model with LED backlit as that would make it convenient to operate TV in the dark. 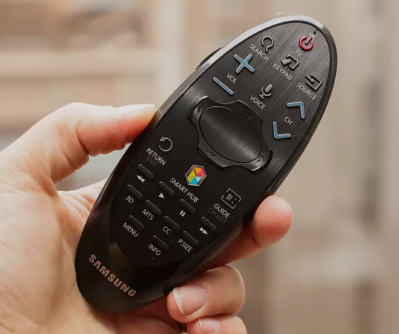 Additionally, you can buy a complete functionality keyboard-like Bluetooth remote if your smart TV comes with Bluetooth connectivity. Another important aspect now-a-days is the sound quality of TVs. If you look at some models, you shall find that a RMS power rating is given to TVs. For example. A TV with 5W + 5W RMS would mean that the power output of both the speakers is 5W individually. Higher RMS rating generally translates to louder volume. However, it does not mean that a higher RMS rated TV will be “better-sounding” more than a TV having a lower RMS rating. Many premium TVs these days come with dedicated sound bar with enhanced sound technology like Dolby or DTS. Harman Kardon is one of the best inbuilt speaker set bundled with the TV. Typical arrangement of Harman Kardon speaker is that it four separate speakers with dual amplifiers. This helps in taking the entertainment quotient higher. The front design of these speakers is such that they deliver sound with minimum losses. Similarly, on a software front, it is best to go with the Dolby Digital sound system. The strength of Dolby Digital lies in compressing the size of multichannel audio files without disturbing the sound quality. What Dolby Digital does is, it takes cues from how human ear processes sound and implements it in its functioning. It provides five bandwidth channels: front right, front left, center, surround right, and surround left for amazingly true sound feel. Thus, it expands right and left conventional stereo channels to give listeners enveloping 360 degrees of sound; alternately the “surround sound”. If all-round sound (3D sound) takes you to another world go for a TV with Dolby. Some TVs these days also have a subwoofer or sound bar integrated into them. In case you are looking for better sound output, do look for subwoofer or soundbar integration. You must have observed that when viewed from different angles, the colours in the LED TV change. That is because of the screen-panel. There are two main types of panels available in market: IPS panels and VA panels. IPS panels are found to be better in terms of viewing angle i.e you can watch TV sitting at different angles with the TV whereas VA panels are not found to be that good in terms of viewing angle. It means that a TV with a VA panel does not give you much freedom in terms of the viewing angle. So if you have a bigger room, then IPS panel would offer a better angle. Also IPS panels are tougher than VA panels and are found to be more durable. However, in terms of color reproduction, VA panels are better and that is why brands like Sony and Samsung still use VA panels. To deal with the ever-increasing pixel count and deliver crisp & clear picture companies provide with different picture engines. This should be essential criteria for the users who are intending to do gaming or watch action-packed movies on their TV. X Reality Pro engine on Sony 4K TV upscales every pixel to provide better clarity. It improves picture clarity by adding the missing colors, luster, vibrancy, texture, and details to the given picture. LG, on the other hand, provides with Triple XD engine which works on three important parameters—contrast, color, and noise. Triple XD engine enhances picture quality by increasing black levels and brightness, altering color tones and provides analog & MPEG noise reduction algorithms. Though the premium range of TVs offers a stunning 4K resolution, most of the sources, especially in India don’t provide with native 4K content. This means there is the need to upscale them when aired on the TV, but then they are on the risk of appearing blurry or grainy. To cope up with this, make sure the picture engine of the TV comes with the capability of upscaling low-resolution content. 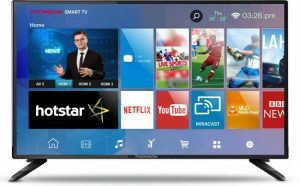 If you decide to buy a smart TV, you will come across a plethora of operating systems (OS) just like you find them in your laptops and smartphones. Android is the most popular operating system for Smart TVs just like the smartphone with nearly half of the market share. The best part of Android TV OS (Android 6.0 and above) is that they come with Google Voice assistant. This means your TV can easily search any content you say as Google Voice is the best in recognizing different accents accurately. Moreover, if you are the Android user, you would already know that there are thousands of apps on Play Store. However, there is a slight catch with Android TV OS. Though many smart TV says Android OS, they are not officially certified. It means that Play Store might be absent altogether. So if you want official Play Store to go for Android certified TV. In case you are a tech geek, you can do without an Android certified TV by sideloading APK apps on Smart TV. LG’s webOS is the second most popular TV OS. This OS is built around the taskbar which runs at the bottom of the screen. First introduced in 2014, UI hasn’t changed much, but there have been some gradual improvements over the years matching the need of the hour. The main advantage of webOS is that it’s exceptionally user-friendly, stable, fast, least prone to slowdowns. However, on the downside, it lacks broader ecosystem apps which Google can offer. 2018 onwards LG have added ThinQ AI in its premium Smart TVs which allows for smart search, multiple windows, and magnification on live screen functionalities. Just like LG, Samsung hosts its operating system, Tizen in its Smart TVs. Samsung calls it SmartHub and its UI draws a lot of inspiration from webOS especially in the way it uses overlaid menu comprising of big colorful icons. There is another popular TV OS, but off late it’s development on a decline. It is Firefox OS and presently shipped with selected Panasonic appliances. Though it’s one of the clean, fresh and easy TV systems around, opting for it is little dicey since Mozilla foundation has confirmed its withdrawal from this segment. This means future support and development in the TVs powered by Firefox OS is apparently in jeopardy. Now if you are really on a tight budget and cannot afford a smart TV but still crave for one, we have a solution. If your TV comes with HDMI port, you can convert your idiot box into smart TV using plug-and-play devices like Google Chromecast, Amazon Firestick, and Apple Smart TV. They come with a lot of OTT apps and provides you with a full dose of entertainment like a usual smart TV. In this slightly longish post, we have tried to explain you different things that you need to look at while buying a new television. We have also tried to list down some new technologies that are there in the market. In case you still have questions, please feel free to post them in the discussion section below and we will be happy to help you.